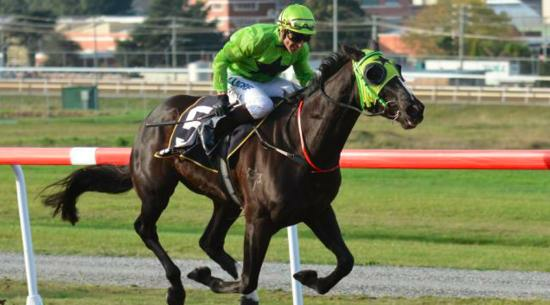 TWO months ago the favourite to take out the Tasmanian Horse of the Year title was the well-performed sprinter Hellova Street that was triumphant in both of the state’s prestigious weight-for-age events. Hellova Street won the $100,000 Thomas Lyons over 1200 metres defeating Lord Da Vinci and Admiral and he ended his Tasmanian campaign with a game win in the $100,000 weight-for-age Luxbet Stakes (1600m) in Launceston when too good for a star-studded line-up. He capped his season by venturing to Melbourne where he emerged triumphant in a $120,000 Listed race over 1400 metres and he did it by leading and defying late closers at the business end of a hard-fought the race. The Scott Brunton-trained six-year-old also won the Goodwood Handicap first-up and went on to finish second to Admiral in the weight-for-age Conquering Stakes when beaten a half-head over 1200 metres. He was also second, beaten a long neck by Admiral, in the Tasmania Stakes over 1600m before his first trip to Melbourne that produced a game second in the $90,000 Swettenham Stud Championship heat at Caulfield where he ran into an in-form Burning Front. It is an impressive record and one that could yet see him snare the crown as the state’s best galloper for the 2016-17 season.